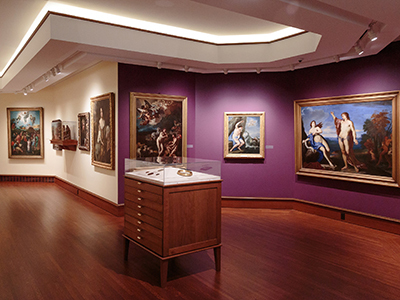 An essential academic and cultural resource for students, faculty, and residents of the surrounding geographic community and region, the Fairfield University Art Museum (FUAM) offers meaningful opportunities for first-hand experience of original works of art and their unique historical resonance. We foster appreciation of the visual arts; cultivate cultural literacy and critical engagement; conserve, research, and impart knowledge about the collection in accordance with best scholarly and museum practices; and champion human creativity of all cultures and time periods. Tuesday - Saturday: 11:00 a.m. - 4:00 p.m.
Wednesday - Saturday: 12 noon - 4:00 p.m. Visitors are welcome during opening hours, while the University is in session. We are closed for all University holidays, and during inclement weather. The FUAM is free and open to the public. Visitors are required to leave backpacks, umbrellas, shopping bags, totes, and large purses in the cloakroom. Wheelchairs, service dogs, and other aids for visitors with special needs are permitted in the galleries. The FUAM is located on the lower level of Bellarmine Hall. Parking is available in front of Bellarmine Hall and in front of the Quick Center for the Arts. 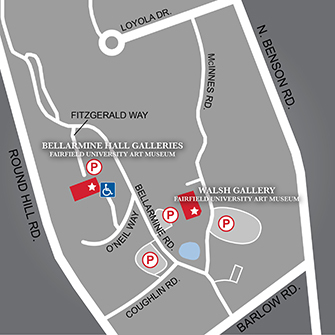 Handicap parking is available next to the museum’s service and classroom entrance on the lower level of Bellarmine Hall. The Walsh Gallery is located in the Quick Center for the Arts. Parking is available in front of the building. 200 Barlow Road, Fairfield, CT 06824 - Enter through the University gates, and continue along Bellarmine Road until you reach a stop sign. Turn left onto Fitzgerald Way, and Bellarmine Hall is directly in front of you. The visitor parking lot is on the left. 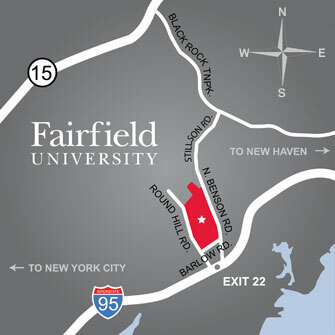 Take Metro-North, New Haven Line, to Fairfield Station (approximately 70 minutes from Grand Central Station). Exit 22, left on Round Hill Rd. Follow to second stop sign, turn right on Barlow Rd. Follow 1/2 block to University entrance on left through stone gates. Follow directions above. Exit 22, right on North Benson Rd. Follow to first stop light, turn left on Barlow Rd. Follow 1/2 block to University entrance on right through stone gates. Follow directions above. Exit 44, left at end of ramp, right on Black Rock Tpke. Follow 2 mi., turn right on Stillson Rd (Rt. 135 South). At second light, bear left onto North Benson Rd. At second light, turn right on Barlow Rd. Follow 1/2 block to University entrance on right through stone gates. Follow directions above. Exit 44, at end of ramp make a left. At first light make left onto Black Rock Turnpike. Follow directions above. Carey Mack Weber has over 25 years of experience working in museums and galleries. After graduating from Connecticut College with a B.A. in Art History, Carey spent over a decade working in fine art galleries in New York City. She started her career as a registrar at Wunderlich and Company and went on to become gallery director at Susan Sheehan Inc. and at Edward Tyler Nahem Fine Art. 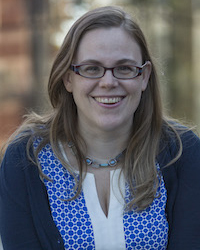 Ms. Weber began at Fairfield University as the Visual Resources Curator in the Department of Visual and Performing Arts. She was integral to the founding of the Bellarmine Museum of Art, where she assisted Dr. Jill Deupi, the founding director, in developing the museum’s first three years of exhibitions and programming, as well as setting up the Collections Management systems. She served for almost a year as Interim Director after Dr. Deupi’s departure, prior to the arrival of Dr. Linda Wolk-Simon. Carey also currently serves as the President of the Connecticut Art Trail, a nationally recognized partnership between twenty-one world-class museums and historic sites, created to promote Connecticut’s rich cultural assets as part of a travel experience. 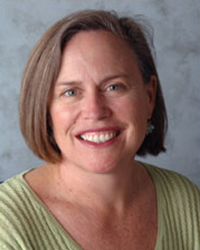 She is an active member of the American Alliance of Museums, the Association of Academic Art Museums and Galleries, the New England Museum Association, and the Cultural Alliance of Fairfield County. Dr. Michelle DiMarzo is a 2007 graduate of Fairfield with a B.A. in Art History and English. DiMarzo went on to pursue graduate degrees in Art History, specializing in Italian Renaissance visual art. She received a Ph.D. in Art History from Temple University in 2017. Before returning to Fairfield, she held the Phyllis G. Gordan/Samuel H. Kress Foundation Two-Year Pre-doctoral Rome Prize at the American Academy in Rome. Prior to that, she taught courses at Fairfield University and Temple University, and was also a Spotlight Gallery Conversation educator at the Philadelphia Museum of Art. 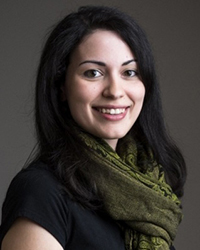 Dr. Sarah Cantor completed her Ph.D. at the University of Maryland in 2013. Her dissertation examined the intersections between landscape painting and antiquarian culture in 17th-century Rome. She has held curatorial and research fellowships at the National Gallery of Art, the Philadelphia Museum of Art, Bowdoin College Museum of Art, and St. Mary’s College of Maryland. She has published essays on landscape painting and has contributed to multiple exhibition and collection catalogues on old master and modern drawings. 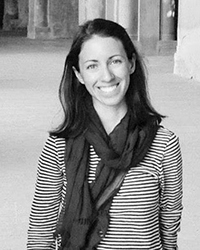 Sarah has been the recipient of several fellowships, including a Fulbright grant at the Biblioteca Hertziana and a fellowship in Garden and Landscape Studies at Dumbarton Oaks. 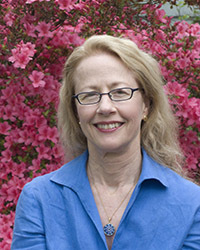 In addition to curatorial work, she has taught upper-level courses on 17th-century European art and the intersections between art and science at the University of Maryland and worked as an adjunct assistant professor for several years at University of Maryland University College, teaching online classes. Emily McKeon is a 2018 graduate of University of Delaware with a B.A. in Art History and a minor in Museum Studies. Emily has interned and volunteered at numerous museums during her time as an undergraduate. 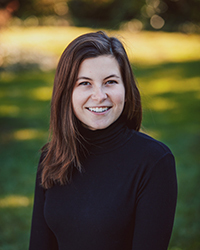 She was previously the Editorial Assistant at the Winterthur Museum’s Winterthur Portfolio, an interdisciplinary journal committed to fostering knowledge of the American past through the study of material culture. Megan Paqua received her B.A. in Archaeology from Dickinson College in 2011 and went on to complete an M.A. in Egyptology from the American University in Cairo in 2015, where she participated in archaeological fieldwork at the site of Tell el-Amarna with the Amarna Project. After returning to the US, she began teaching art history courses at Fairfield University, as well as pursuing a degree in Museums & Digital Culture from the Pratt Institute School of Information. She is also the Permanent Collection Documentation Fellow at the Whitney Museum of American Art (2018-2019) and a project registrar for the Westport Public Art Collection. The FUAM occupies the lower level of the University's signature building, Bellarmine Hall, the former residence of the Walter B. Lashar family. Designed in 1921 in the English manorial style, this handsome structure was purchased by the Jesuits from the town of Fairfield in 1942 to serve as the foundational building for the newly established Fairfield University. In 2008, Centerbrook Architect and Planners were charged with creating spaces in the lower level of the hall, formerly used by the University for storage and other utilitarian purposes, into a state-of-the-art museum. A lead donation of $2.5 million from John Meditz '70 laid the foundation. Further support was provided by the National Endowment for the Humanities, the Dolan Family Foundation, the Samuel H. Kress Foundation, the Jost Foundation, and donations from a number of private individuals. The museum was publicly inaugurated on October 25, 2010, and is a testament to Fairfield's commitment to excellence in education and the arts. This large "white cube" gallery for special exhibitions is housed in the Quick Center for the Arts. The Thomas J. Walsh Art Gallery opened its doors in April 1990 under Founding Director and Professor of Art History, Dr. Philip Eliasoph. Its inaugural exhibition was, "Defining Modernism: Art of the 20th Century." In a review by the New York Times, Vivien Raynor wrote: "With this exhibition, the Walsh assumes a missionary role that is not inappropriate for a Jesuit campus, even though the word brought is not of God."